It's been three years since we bought our house in Boston and this month our living room was featured in Dwell Magazine's special issue Your Rooms We Love! I'm still pinching myself. It's the most put together room in the whole house but hey, it looks good right?! 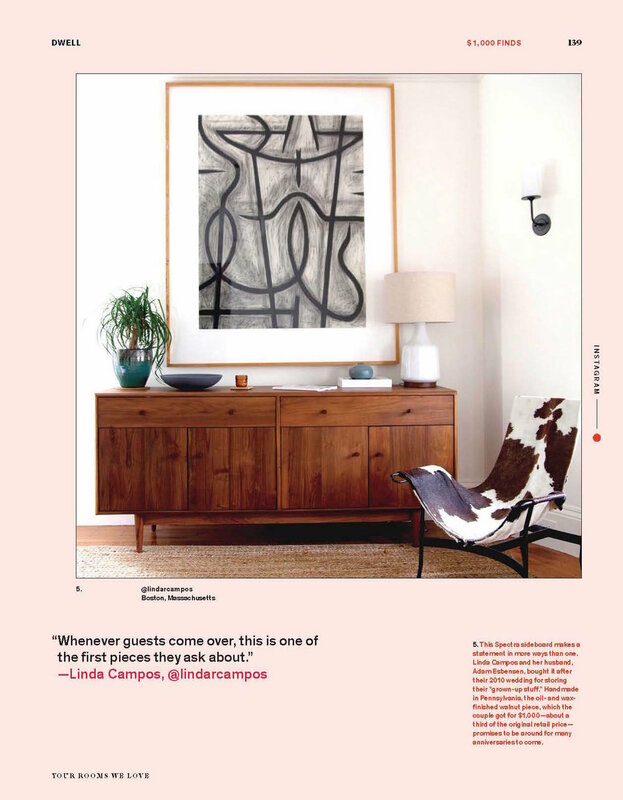 The piece that got us featured is our gorgeous walnut buffet from Room and Board. It's our favorite piece of furniture and whenever guests come over they almost always inquire about it. There are some other lovely Boston homes featured too! Like @laurenswells dreamy house. Are y'all subscribers to Dwell? We're big fans and couldn't be more thrilled to have our home in this issue!